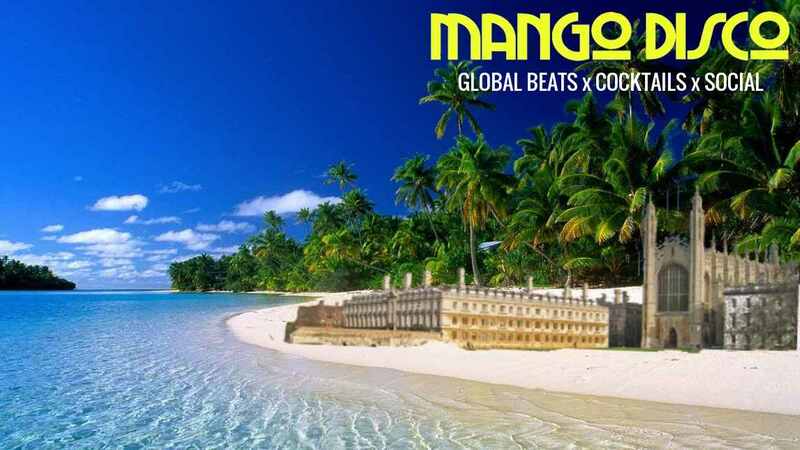 Mango Disco is the N1 global beats & social night in Cambridge, and will be hosting a night at our venue. Showcasing Worldwide independent talents and music from across the globe. A celebration of music, diversity, inter-species communication and sonic imagination. A chance to explore new sounds, dance, converse and enjoy some quality cocktails. For this event we are incredibly exited to host Peckham funk and soul scene legend Jamie “Coco” Allan. He will be supported by Mango Disco Residents Richard Fish (Bossa/Jazz/Soul), Alex Del Mango (Tropical, Caribbean, Afro-beat) and Swindelman Papi (Soul, Funk, Electro and the vibes guy). Legend Ben Anderson from Soul Exchange might spin some tunes during the night as well (then is when Mango gets dark and sophisticated). We might rave at a secret location afterwards..text 07815448299 after 2:00 am for details.